Keithley Plumbing is a fourth generation family owned and operated business, founded in 1969 by Lu Verne Keithley. We provide fast, clean, quality service and offer full service repairs and remodeling. We take pride in our work and value all of our customers. We are proud to announce that we now operate out of three fully stocked vans. 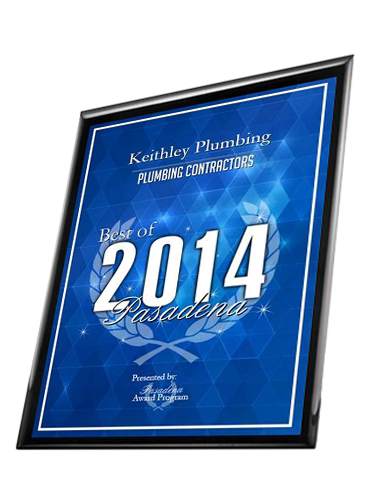 We have received multiple awards over the years such as Angie’s Super Service Award (from 2006 to 2016) and we’re featured in the Best of 2014, 2015 & 2016 in Pasadena for Plumbing Contractors. We have also received the Yelp Service Award from 2016-2018. We service Pasadena and the surrounding area. We do not work in San Gabriel, Burbank, Alhambra or the City of Los Angeles. Due to traffic in these areas it takes us close to 45 minutes to reach destinations. If you live in one of these “no service” areas but are willing to pay travel time, please call the office to schedule. We are not a same day or emergency service provider, but we have a 24-hour answering service that relays messages for us to respond to during normal business hours. We can give a rough estimate over the phone, if you require a more in-depth estimate it will be considered a service call which requires a charge. Our current hourly rate as of 3/1/19 is $118. A typical service call is parts and labor unless a contract price has been agreed upon prior. I was born and raised in Pasadena and have been plumbing for over 35 years. I started working with my father at a young age. 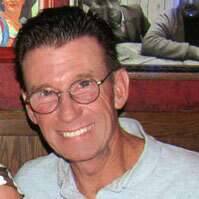 I started working full time in 1974 as a journeyman plumber, trained by my father, who was trained by his father. My Grandfather started San Marino Plumbing in the 1930’s and my father then branched out and started Keithley Plumbing in 1969. My dad Lu Verne, “Sonny” retired in 1996 and that is when my wife and I started handling Keithley Plumbing. I’ve enjoyed my profession throughout the years. Meeting new clients and establishing a relationship and understanding how their plumbing needs can be met are always interesting to me. I find special interest in trouble shooting situations where others have given up. When not working our family enjoys time out in the desert. We take our sand buggy through the dunes and some motorcycle riding as well. That time away rejuvenates me for what the weeks ahead will hold. 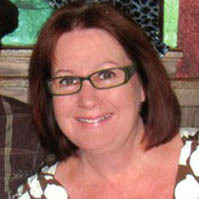 I look forward to meeting your plumbing needs and seeing that you are satisfied with our services. Dan and I have been married for 30+ years. We have two adult children: our son, Brian, who works with us as a plumber, and our daughter, Stephanie, who helps out in the office. We started handling Keithley Plumbing in 1996 and are excited at how the business will continue to grow. We have some amazing customers that have been with Keithley Plumbing for over 30 years. We have gained some great new customers through Angie’s List and Yelp as well. We find that customers referrals are the most productive way to reach out. This is why we take care of each plumbing issue with the quality workmanship that each of you deserve. When I am not busy at Keithley Plumbing, I am mom and wife. I was very involved with our children’s education and was PTSA President and/or Ways and Means Chair off on from elementary school through high school. We can’t wait to work with you and provide you with friendly, quality plumbing services.